Occupational group: Private accommodation landlords. wildschoenau-apartment.com assumes no liability or guarantee for the topicality, correctness or completeness of the information provided by us. The texts, images, video on this site are the property of wildschoenau-apartment.com. Any liability for damages, regardless of their causes, as far as it is legally permitted excluded. 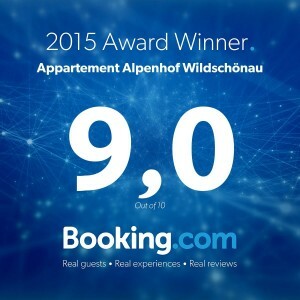 All information and personal data that visitors submit on our website are treated by wildschoenau-apartment.com strictly confidential and not disclosed to third parties. No guarantee can be given for the completeness and correctness of information obtained through further links. For contents, which are attainable over links from our sides, the responsibility lies with the respective offerer. This disclaimer is to be considered part of the internet offer from which this page was referenced. Your data including personal data from our contact form will be sent to us for processing your request via our own mail server, further processed and stored by us. These data will not be collected or shared without your consent. Without this data we can not process your inquiries. The data processing takes place on basis of the legal regulations of the § 96 Abs 3 TKG and Art. 6 para 1 lit a (Consent) DSGVO. 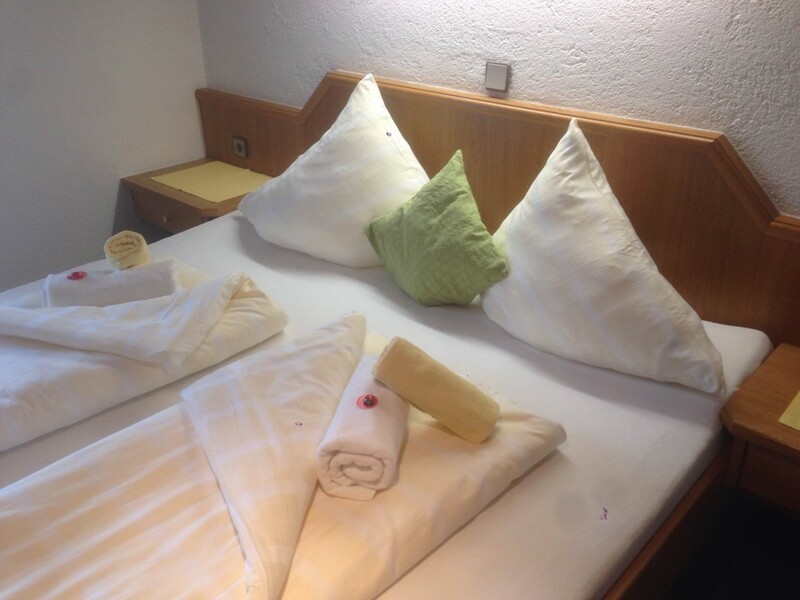 The Alpenhof in the Wildschönau has been family run since 1958 – we will personally take care of your every Need! Our house was built in 1958. We took over the running ofit from our parents Franz and Anna Luchner in May 1994. It is our aim to offer our guests a comfortable holiday home from home, to answer all your questions and to fulfill all your holiday wishes. We are proud of the loyalty of our guests, some of whom have been spending their holidays with us in the Alpenhof for 20 years and more! Who knows, perhaps you will become one of them! It’s a great day for anyone when he puts the roof on his own house. 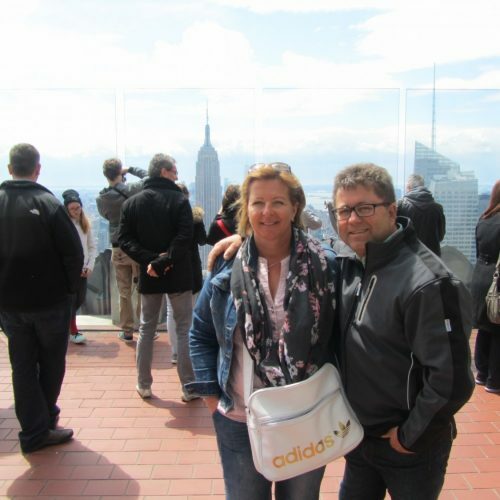 The owners are Franz Luchner sen. and his wife Ursula, his son Franz-Josef and wife Anna. The house was planned in winter 1957 by Luchner jun. and the excavation work began immediately with pick and shovel. After 2 months hard work the foundations were laid. In the following summer the cellar and the ground floor were built and the building left to stand over the winter. Work continued in summer. Father and son did all the bricklaying work themselves as both senior and junior are trained builders and owners of their own company. The carpentry work was done by Sepp Klingler from Oberau. We have a good life nowadays with enough work so that a worker can earn a decent wage. We should not forget to thank the Lord for his blessings and his protection so that no accidents or injury occurred. The house is built as a tourist hostel and we wish the inhabitants happy holidays here. Our house is in a central location and easily accessible, right in the middle of Niederau, the first village in the Wildschönau Valley. Just a few steps from the centre of the resort, everything lies within a 100 – 250 metre radius. The Markbachjoch ski and walking resort, 2 supermarkets, restaurants, a chemist, the ski schools and the next bus stop are just a few minutes away. And it’s not far to walk home from a fun après ski evening either! The children’s ski schools with it’s ski kindergarten is only 200 metres from our house so there’s no need for proud parents to buy a lift pass in order to watch the kids progress. Another advantage is that the Skiwelt Wilder Kaiser- Brixental is just 6 km away from us by car. 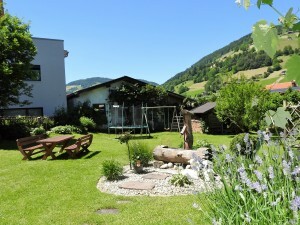 The riding stables at the Hotel Wastlhof as well as the paragliding school are also right nearby. There’s practically no need to use the car on a holiday with us! 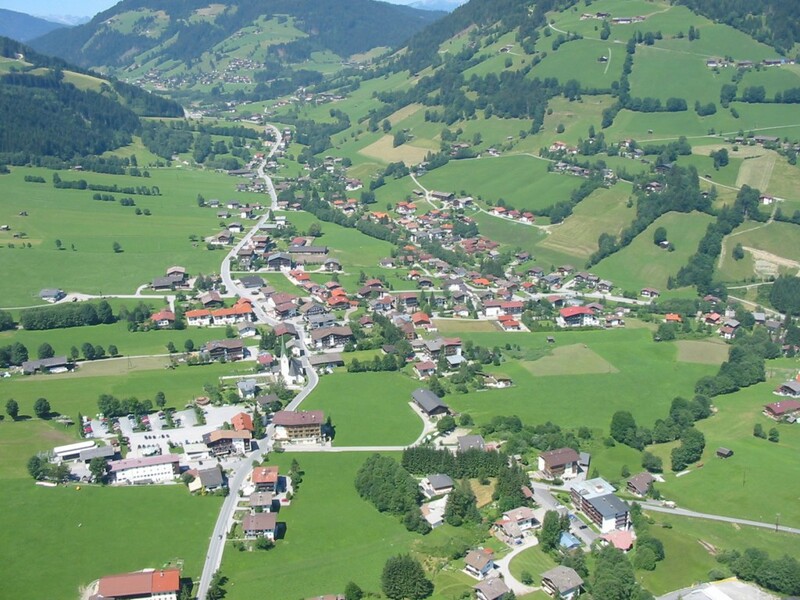 The village of Niederau in the beautiful Wildschönau Valley can be best reached via the Inntal Motorway A12. From the direction of Kufstein (Inntalautobahn A12), Wörgl Ost (east) exit. B171 towards Wörgl, after the church in Wörgl centre turn left into the Wildschönaustraße (L3), after approx. 7.5 km you arrive in Niederau. From the direction of Innsbruck (Inntalautobahn (A12), Wörgl West exit. B171 towards Wörgl. After 2.2 km in the town centre turn right at the traffic lights. Follow signs on the Wildschönauerstraße (L3). After approx. 7.5 km you arrive in Niederau. Ihr Urlaubsort ist Niederau, der erste Ort der Wildschönau, sofort erkennbar am spitzzulaufenden Kirchturm seiner Pfarrkirche und dem dahinterliegenden Hausberg, dem Markbachjoch. Das Markbachjoch ist im Sommer ein beliebter Ausgangspunkte für schöne Wanderungen und ein Paradies für Paragleiter. Bei uns befindet sich auch Tirols bekannteste Paraglidingschule – die Flugschule Wildschönau. Beliebte Wanderziele sind die Kasalm/Holzalm, die Norderbergalm, Rosskopf,das Feldalphorn und viele mehr. Anregungen uns Tipps gibt ihnen gerne auch der Chef des Hauses! ….Aktiv-Urlaub entspannt mehr als auf der faulen Haut zu liegen! In Oberau, dem Hauptdorf des Hochtals, prägt das Bild des Ortes seine markante 250 Jahre alte, barocke Pfarrkirche zur Hl. 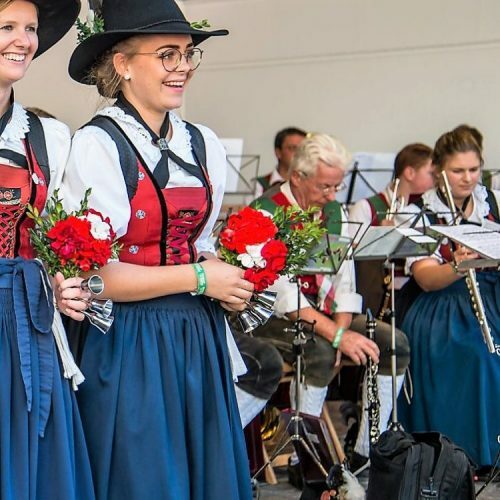 Margeretha, die auch der Dom des Tiroler Unterlandes genannt wird. Im Sommer gibt es einen Tennisplatz ein schönes Freischwimmbad und natürlich herrliche Wanderwege. Im Zauberwinkel kommen Abenteurer im höchsten Naturhochseilgarten auf ihre Kosten. Zu Oberau gehört auch der Ortsteil Mühltal. Von dort gehts in die herrliche Kundler Klamm. .
Auffach -Auch im Sommer ist der Schatzberg Ausgangspunkt vieler schöner Wanderungen. Eine Wanderung zur Schönangeralm gehört ebenso dazu oder ein Besuch vom Holzmuseum im Zentrum des Dorfes. Dort gibt es viel Kurioses zum Thema Holz zu entdecken. Thierbach – ist das kleinste und wohl romantischste der 4 Wildschönauer Kirchdörfer und immer einen Ausflug wert. Stärken kann man sich in zahlreichen Restaurants und Jausenstationen. Und natürlich darf man auch nicht vergessen, die Wildschönauer Medizin den “Krautinger” zu verkosten! Wildschönau – Wanderurlaub – Sommerurlaub – Winterurlaub im schönsten Hochtal Tirols – Ferien in Tirol in seiner schönsten Form – Pure Natur und Erholung auf der ganzen Linie! Our non-smoking apartments are comfortably furnished. The apartments are equipped with: A fully equipped kitchen with coffee machine, kettle, cooker with 4 ring electric or ceramic hob. Dishwasher in Niederau, Tennladen, Sonnberg apartments and the Studio Type C in the loft apartment. If there is anything further you need for the kitchen, don’t hesitate to ask. We’ll help out if we can. All our apartments (with the exception of type Niederau) have a balcony, the most of which are west facing. Some of the apartments even have two. Relaxand enjoy the views and the sunset from our terrace (access from the first floor) or from a deckchair in the garden. The children have plenty of room to play there on the trampoline or the swings, or have a game of table tennis table or badminton. Bats and racquets are available. We also have a large selection of board games and cards for a fun games night! Please place your ski and walking boots in the heated ski room. There you will find an electric boot dryer and plenty of shoe racks. Why not relax in our Physiotherm infrared cabin? We recommend a travel insurance. This is available in house. Please contact us for special arrival or departure requests. Higher rates on booking platforms. We rent out our rooms to workers. Prices from € 18 to € 25 per person per day. Please contact us for an offer. The town of Wörgl or the Sandoz Works are just a few minutes drive away. Special tarifs for long term rentals. Guarantee the best price by booking directly on our homepage! 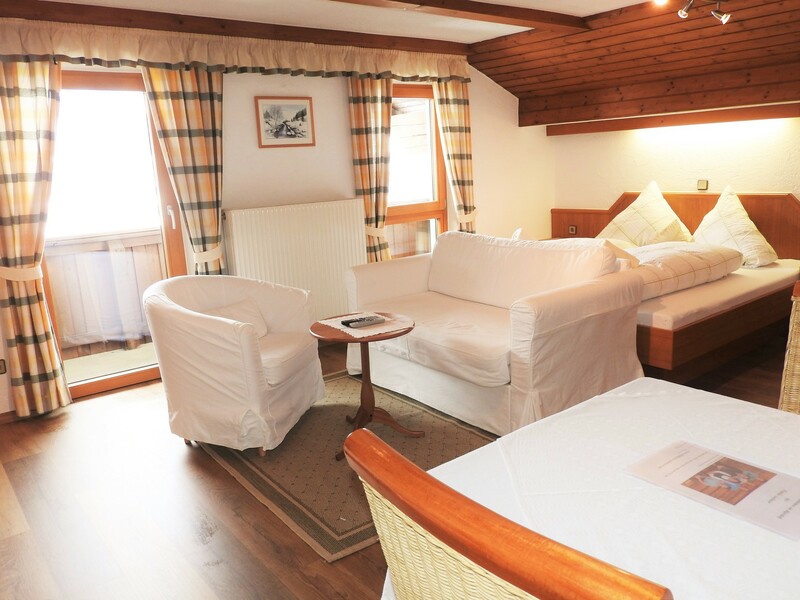 Holiday apartments – Enjoy a wonderful winter or summer holiday with the whole family in the Wildschönau Valley in the Kitzbühel Alps. Our popular studios for up to two people have an open plan living and sleeping area, a double bed, dining table, Sat-TV, shower and toilet, hairdryer, fully equipped kitchen, balcony and terrace Access. The family apartment „Niederau“ has a living room with dining area and couch. 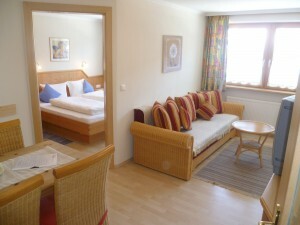 Apartment type „Sonnberg“ 60 m², 2 bedrooms. Both apartments of this size are on the second floor and opposite each other. The apartments each have two bedrooms and two bathrooms, a kitchen with dishwasher, a hallway, a living room with dining area and couch, Sat-TV, hairdryer. Each apartment hast wo balconies (east and west facing). Our two single rooms are next door to each other and are often booked in combination with the Apartments. Both rooms have Sat-TV shower, toilet and balcony. Our guests love the free WiFi, the perfect location, the hospitality and comfort of our holiday Apartments! Auf Anfrage: Preise für Monteurzimmer und Langzeitaufenthalte. 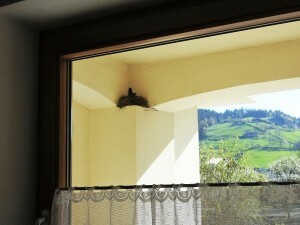 A very warm welcome and „Griaß di “ in the Alpenhof Apartment House in the Wildschönau Valley! 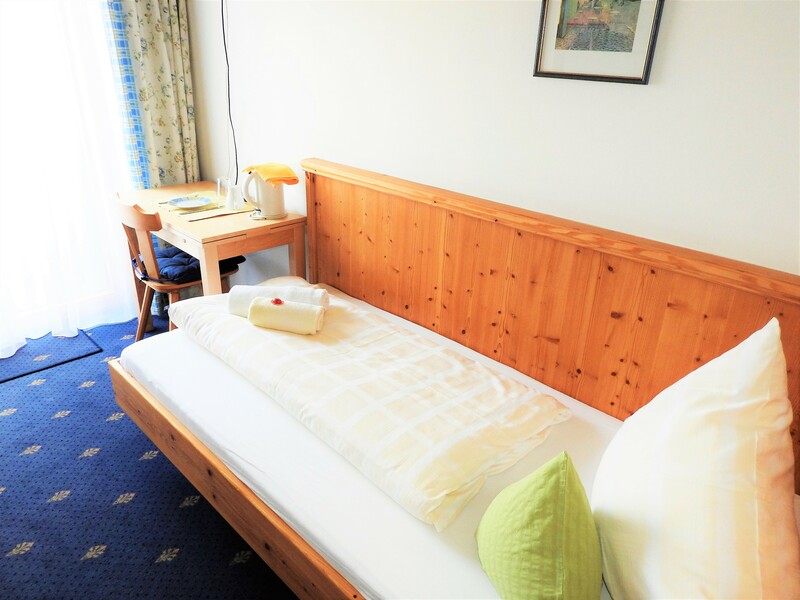 Enjoy a relaxed holiday in our family run apartment house in the lovely Wildschönau Valley right in the heart of the Kitzbühel Alps. 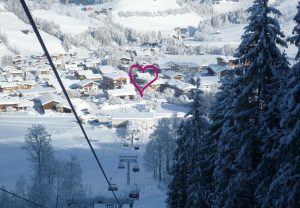 The location of our Apartments Alpenhof Wildschönau couldn’t be better. 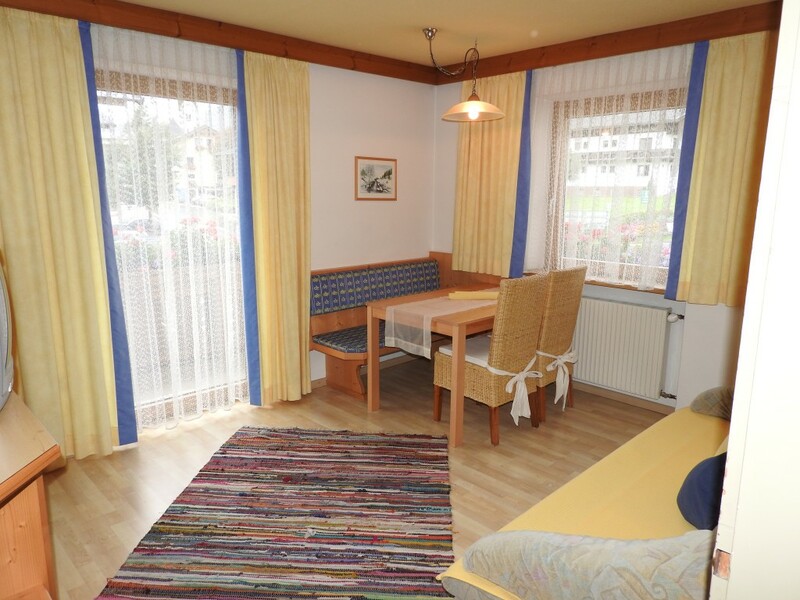 We are central and within easy reach of in Niederau’s village centre. Niederau is the first of the Wildschönau villages. It’s just a few steps to the centre of the resort, the supermarkets, restaurants, the Ski Juwel Markbachjoch, ski schools, ski hire shops and the next bus stop. In a very short time you are right in the centre of things with practically no need to use the car. Our non-smoker apartments are comfortable and decorated with an eye for detail. They have plenty of room for 2 – 5 people. As our guests you will receive the Wildschönau-Card giving you access to the many bonuses the region has to offer. WiFi is free in every part of the house. 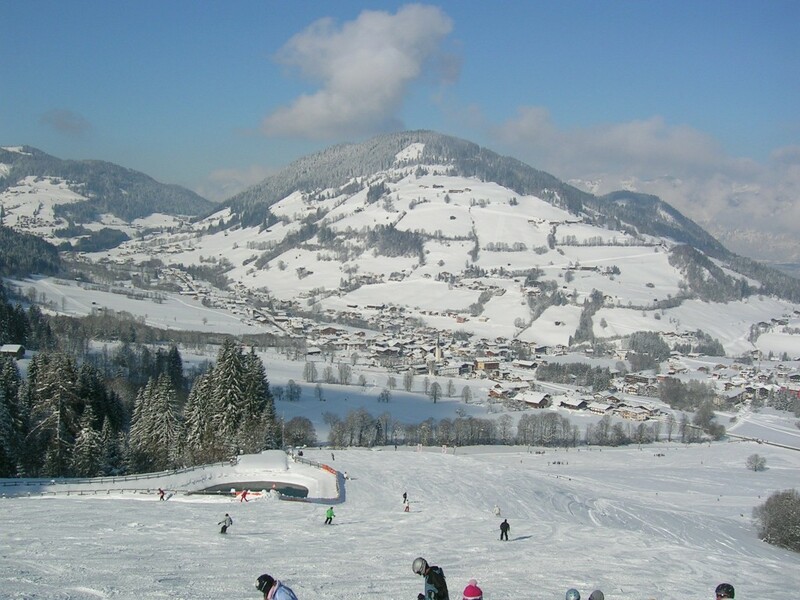 In winter the Ski Juwel Alpbachtal Wildschönau offers 145 km of excellent ski runs and 2 toboggan runs as well as lovely cross country tracks. The Ski Juwel Markbachjoch is just a few minutes walk away and you can practically ski back to the door. The Markbachjoch is an insider’s tip amongst the Tirolean ski resorts with it‘s demanding slopes and super conditions for children and novices. The new toboggan run on the Lanerköpfl is extremely popular with locals and guests. In summer we have beautiful walking paths, attractions and many many cosy huts and restaurants serving Wildschönau specialties and of course the famous local Krautinger schnapps. Relax after a day’s walking in the open air pool in Oberau or play a game of tennis on the clay courts there. Paragliding is particularly popular in Niederau and the Wildschönau Flight School offers different courses and tandem flights. 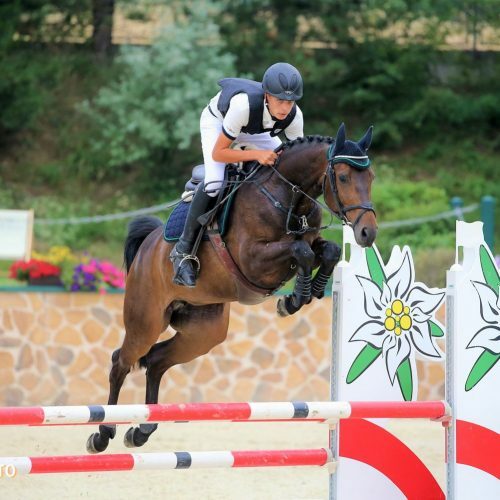 For horse lovers the riding stables at the Hotel Wastlhof are also nearby. Whether you are here to ski, hike, paraglide or just to relax our Alpenhof in Niederau is the perfect place for a summer or winter holiday in the Wildschönau Valley! Diese Seite nutzt aus Gründen der Sicherheit und zum Schutz der Übertragung vertraulicher Inhalte, wie zum Beispiel der Anfragen, die Sie an uns als Seitenbetreiber senden, eine SSL-Verschlüsselung TLS (Transport Layer Security). Eine verschlüsselte Verbindung erkennen Sie daran, dass die Adresszeile des Browsers von “http://” auf “https://” wechselt und an dem Schloss-Symbol in Ihrer Browserzeile. Wenn die SSL Verschlüsselung aktiviert ist, können die Daten, die Sie an uns übermitteln, nicht von Dritten mitgelesen werden. Wir verwenden Social Plugins von facebook.com, betrieben durch Facebook Inc., 1 Hacker Way, Menlo Park, California 94025, USA. Die Plugins sind an dem Facebook Logo oder dem Zusatz “Facebook Social Plugin” zu erkennen. Wenn Sie z.B. den “Gefällt mir” Button anklicken oder einen Kommentar abgeben, wird die entsprechende Information von Ihrem Browser direkt an Facebook übermittelt und dort gespeichert. Weiterhin macht Facebook Ihre Vorlieben für Ihre Facebook-Freunde öffentlich. Sind Sie bei Facebook eingeloggt, kann Facebook den Aufruf unserer Seite Ihrem Facebook-Konto direkt zuordnen. Diese Webseite benutzt Google Maps API, einen Kartendienst der Google Inc. (“Google”), zur Darstellung einer interaktiven Karte und zur Erstellung von Anfahrtsplänen. Google Maps wird von Google Inc., 1600 Amphitheatre Parkway, Mountain View, CA 94043, USA betrieben. Durch die Nutzung von Google Maps können Informationen über Ihre Benutzung dieser Webseite (einschließlich Ihrer IP-Adresse) an einen Server von Google in den USA übertragen und dort gespeichert werden. Bitte beachten Sie die Mindestaufenthaltsdauer zu gewissen Saisonzeiten. Sollten Sie Hilfe bei der Buchung benötigen, senden Sie uns einfach eine unverbindliche Anfrage oder sie rufen uns an – Tel: +43 676 4431000. Wir gehen gerne auf Ihre individuellen Wünsche ein. 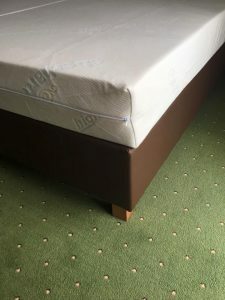 Neue Box-Springbetten in den Studio´s Typ A und B 🙂 Als Doppelbett oder 2 Einzelbetten buchbar. Die neue Schatzbergbahn ist in Betrieb! 🙂 🙂 Schneller – moderner… einfach bärig! Top Lage im Herzen von Niederau ……Tiroler Gastlichkeit seit 1958! Lifte, Markbachjochbahn, Kinderskischulen, Skibus, Geschäfte …..alles in unmittelbarer Nähe. Wir freuen uns riesig! 😍 💚😍 We are very happy! Immer wieder nett unser Gästebuch anzuschauen 🙂 Danke für die lieben Worte und für die schönen Zeichungen ! Wir freuen uns über unsere neue Homepage und bedanken uns bei Michi IT Webdesign für die Umsetzung! New beds in the small apartments 🙂 You can book it as a double bed or 2 single beds. Last Minute Christmas! Apartment with 2 bedrooms free -10% discount! Special weeks in january – have a look! For all fans of the Lanerköpfl Lift – Beautiful, new ski hut -right on the slopes! The Norderberg Alm! Super conditions in the ski area! Danke – Thank you – Merci – Grazie – Bedankt – Děkuji …. Für Anfragen/Buchungen stehen wir natürlich zur Verfügung. Longstays sind auch möglich. Einfach anrufen oder ein Mail senden.Die Preise für die Wintersaison 16/17 sind nächste Woche online. Durch unsere zentrale und gute Lage erreichen Sie die Orte Wörgl, Kundl ( Firma Sandoz) und Umgebung mit wenigen Autominuten. Gerne erstellen wir für ihre Mitarbeiter ein Angebot. Monteurzimmer / Monteurwohnungen gibt es bereits ab € 18.- / Person. Unser Alpenhof liegt sehr zentral und gut erreichbar mitten in Niederau dem ersten Ort vom schönen Hochtal Wildschönau im Tiroler Unterland. Unsere zentrale Lage wird von unseren Gästen sehr geschätzt. Mit wenigen Schritten – im Umkreis von 100 bis 250 m – ist man mitten im Geschehen. In unserer unmittelbarer Umgebung ist das Ski- und Wandergebiet Skijuwel Markbachjoch, 2 Supermärkte, Gastronomie, eine Apotheke, Skischulen und die nächste Bushaltestelle. Auch vom ApreSki ist nicht weit nach Hause. Die Kinderskischulen mit ihren Kindergarten sind nur 200 m entfernt. Wenn man den Kleinsten zuschauen möchte wie sie die ersten Spuren im Schnee ziehen braucht man keine Liftkarte! Im Sommer ist de Reitstall Wastlhof und die Flugschule Wildschönau gleich in der Nähe. Einem Urlaub ohne Auto steht nichts im Weg! Den Urlaubsort Niederau im schönen Hochtal Wildschönau erreichen sie am Besten über die Inntalautobahn A12. Einfach und unkompliziert – unser Freizeitangebot genießen, mit vielen Vorteilen und zahlreichen Vergünstigungen. 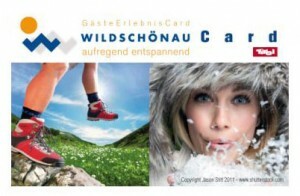 Als Gäste unseres Hauses erhalten sie bei Anreise ihre Wildschönau Card und schon profitieren sie ab der ersten Minute von vielen zahlreichen Gratis- und Inklusivleistungen bei vielen Partnern in der Wildschönau , und zahlreiche Ermäßigungen in der Umgebung. Z.BSp. Ermäßigter Eintritt in die Wörlger Wasserwelt – WAVE! Unser sonniges Hochtal Wildschönau ist eine Winter-Zauber-Welt für sich. Seit Dezember 2012 glänzt das neue Skigebiet unter dem Namen „Ski Juwel“ und das mit einer modernen 8er Einseilumlauf-Verbindungsbahn, 47 Liftanlagen und dem absoluten Pistenspaß auf 109 Pistenkilometer (145 km sportliche Fahrt) sowie 24 urige Skihütten und drei abenteuerliche Snowparks. Viel Spass mach auch eine zünftigen Rodelpartie auf unseren neuen Rodelbahn vom Lanerköpfl oder auf der Rodelbahn am Schatzberg. Langlaufen ist eine schöne Abwechslung zum Pistenabenteuer. 50 gepflegte und zumeist einsame Loipenkilometer ziehen sich durch die Wildschönau. Langlaufen ist gesund und liegt wieder voll im Trend! Unser Hausberg – das Skijuwel Markbachjoch erreichen sie mit wenigen Schritten und mit den Skiern fahren sie fast bis zur Haustür. Das Markbachjoch ist mit seinen top-präparierten Pisten und Abfahrten und den sehr guten Bedingungen für Kinder und Anfänger ein Geheimtipp unter den Tiroler Skigebieten. Die 1. Skischule Wildschönau und die Skischule Aktiv sind in unmittelbarer Umgebung. Insgesamt 5 Skischulen in der Wildschönau bieten ein breites Programm an Kursen. Kurse für Kinder, Gästekindergarten sowie attraktive Learn-to-Ski Packages für Einsteiger sind ausserdem im Angebot. Über 150 bestens ausgebildetete SkilehrerInnen geben Skikurse in verschiedenen Sprachen. Ebenso bieten die Skischulen auch Spass und Unterhaltung! Bobo’s Kinderclub mit Zauberteppich, Skikarussell,eine wöchentliche Skishow und vieles mehr. Skifahren im Skijuwel das ist Wintergaudi pur in den Bergen der Kitzbühler Alpen! A glittering gem in the Tirolean Alps. Open since 2012. 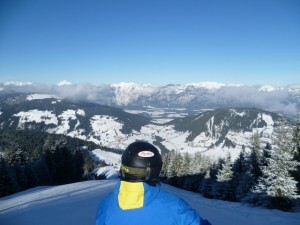 Since December 2012 the region has been part of the Ski Juwel Alpbachtal Wildschönau ski resort. 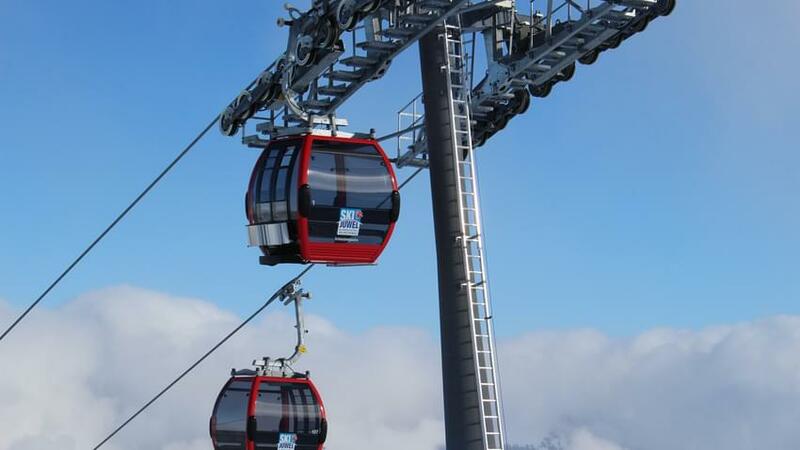 An 8.man cable car connects the two resorts of Alpbach and Wildschönau, a total of 47 lifts and 109 km of ski runs make for pure skiing enjoyment. (145 km with turns! ), 24 rustig ski huts are dotted around the resorts and 3 thrilling snowparks provide the necessary excitement for boarders and freestylers. The new toboggan run on Niederau’s Lanerköpfl and the 5 km long run on the Schatzberg are fantastic fun for all the family. Cross country skiing is a great alternative to alpine skiing. 50 groomed track meander through the Wildschönau’s landscape. Cross country is „in“ and uses 90% of the body’s muscle groups. Our local hill the Skijuwel Markbachjochis just a few minutes walk away from the front door. The Markbachjoch area with it‘ perfectly groomed slopes is ideal for children and ski novices and counts as an insider tip amongst the Tirolean ski resorts. 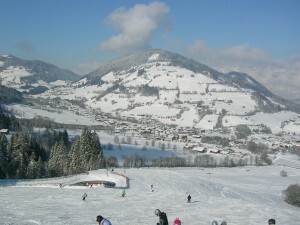 The 1st Wildschönau Ski School and the Active Ski School are both nearby. 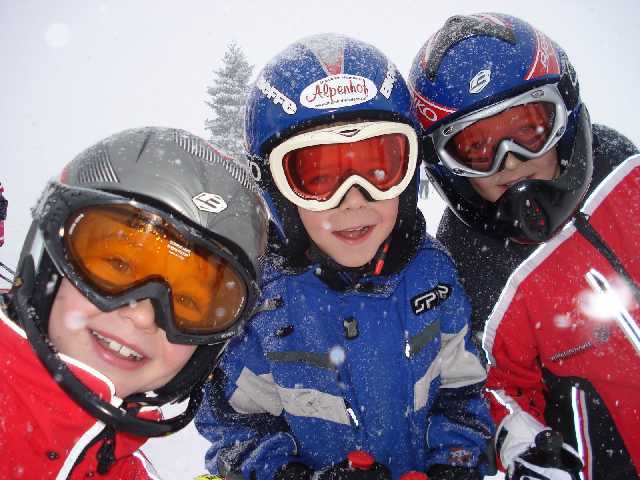 There are a total of 5 ski schools in the region so that every requirement is catered for. A wide range of kid’s courses, a guest ski kindergarten as well as attractive learn-to-ski packages are on offer. Over 150 highly qualified instructors give lessons in many languages. Skiing in the Skijuwelis pure enjoyment in the heart of the Kitzbühel Alps. Unsere Preise sind in EURO sowie inklusive 10% Mehrwertsteuer, und abhängig von Personenzahl und Saison. Kaution: Bei Anreise hinterlegen sie eine Schadenskaution, die sie bei Abreise, sofern keine Schäden entstanden sind, wieder zurückbekommen. EUR 200.- bis EUR 350.- je nach gebuchter Kategorie. Reservierungen sind erst nach Erhalt der Anzahlung gültig! Bei verfrühter Abreise oder verspäteter Ankunft werden die gebuchten Tage verrechnet. Wir empfehlen den Abschluss einer Reiseversicherung. Sie können die Reiseversicherung bei uns direkt abschließen. Nebensaison: An- und Abreise täglich möglich. Sonderwünsche bei An und Abreise – Sie können uns gerne anrufen oder schreiben. Bei uns können sie mit Bankomat, Visa oder Mastercard bezahlen. Gerne erstellen wir für ihre Mitarbeiter ein Angebot. Monteurzimmer / Monteurwohnungen gibt es bereits ab € 22.- / Person. 🙂 Bestpreisgarantie bei direkten Buchungen über unsere Homepage! 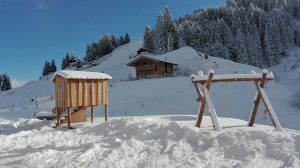 Ferienwohnungen – Erleben Sie bei uns einen schönen Winter oder Sommerurlaub mit der ganzen Familie in den Kitzbüheler Alpen im Hochtal Wildschönau! Bei uns können Sie günstige, gemütlich ausgestattete Apartments / Studio´s oder Einbettzimmer mitten im Zentrum von Niederau Wildschönau buchen. Unsere beliebten Studio´s für 2 Personen sind seit Dezember 2018 mit neuen Box-Springbetten ausgestattet und als Doppel- oder Einzelbett buchbar. Sie verfügen über einen offenen Wohn- Schlafbereich Essecke, Flat-TV DU/WC, Fön, einen komplett eingerichtete Küche, Balkon und Zugang zur Terrasse. Flat-TV, DU/WC, Fön, eine komplett eingerichtete Küche und einen eigenen Balkon. Unsere beiden Einbettzimmer liegen direkt daneben und werden gerne als zusätzliches Zimmer für Mitreisende, Omas, Opas oder Teenies gebucht. Unsere 2 Einbettzimmer werden gerne zu den Appartements angemietet. Für mitreisende Omas/ Opas, Paragleiter…..
Am meisten schätzen unsere Gäste das kostenfreie W-Lan, die Top Lage, Freundlichkeit und die gemütlichen, geräumigen Ferienwohnungen! wildschoenau-apartment.com übernimmt keine Haftung oder Garantie für die Aktualität, Richtigkeit und Vollständigkeit der im Internet zur Verfügung gestellten Informationen. Die Texte und bildlichen Darstellungen auf dieser Website sind Eigentum von wildschoenau-apartment.com. Jede Haftung von Schäden, unabhängig von deren Ursachen, soweit es rechtlich zulässig wird ausgeschlossen. Alle Angaben und persönlichen Daten, die Besucher auf unserer Website übermitteln, werden von wildschoenau-apartment.com streng vertraulich behandelt und nicht an Dritte weitergegeben. Es kann keine Gewähr für die Vollständigkeit und Richtigkeit von Informationen übernommen werden, die über weiterführende Links erreicht werden. Für Inhalte, die über Links von unseren Seiten aus erreichbar sind, liegt die Verantwortung beim jeweiligen Anbieter.Dieser Haftungsausschluss ist als Teil des Internetangebot zu betrachten, von dem aus auf diese Seite verwiesen wurde. 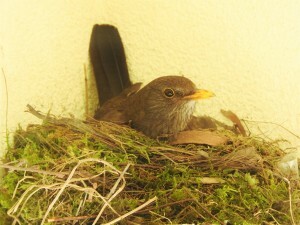 Die Urheberrechte für Inhalte, Fotos, Video sowie für die gesamte Gestaltung dieser Internetpräsenz bleiben beim wildschoenau-apartment.com. Jegliche Weiterverwertung von Fotos, Video bedarf der ausdrücklichen Zustimmung von wildschoenau-apartment.com. Wir freuen uns auf ihre Anfrage oder über ihren Anruf! 8 gemütlich eingerichtete Apartments von 2-5 Personen, im Dorfzentrum von Niederau- Wildschönau in den Kitzbüheler Alpen. Gondel, Lifte ,Skischulen und Geschäfte sind in unmittelbarer Nähe. Die Ferienwohnung steht Ihnen am Tag der Ankunft ab 15.00 (Sommer 14.00 Uhr)Uhr zur Verfügung. Am Tag der Abreise bitten wir Sie, das Appartement bis 9.30 (im Sommer 10.00 Uhr) zu räumen. Vergessen Sie nicht die Schlüssel abzugeben. 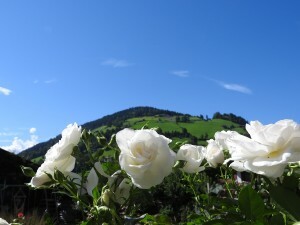 Dr. Georg Reinisch, Tegelanger, Auffach 237, 6313 Auffach, Tel: +43 5339 21900 . Wir helfen Ihnen gerne und teilen unser Wissen über die schönen Ausflugziele mit Ihnen. Fragen Sie nach. Infomaterial zu Bergbahnen, Schischulen und Prospektmaterial liegt für Sie im Eingangsbereich auf. Eine Bank und ein Bankomat sind direkt gegenüber von unserem Haus. Ihren Aufenthalt können Sie bar, mit Bankomat oder Kreditkarte (Visa und Mastercard) bezahlen. Wir bitten Sie die Rechnung bis spätestens 2 Tage vor der Abreise zu bezahlen. Brötchenservice kann nur bar bezahlt werden. Bestellen Sie am Vorabend (bis 17.00 Uhr) aus der Auswahl von unserem Bäcker. An Sonn und Feiertagen ist kein Brötchenservice möglich! Wenn sie etwas vermissen, fragen sie einfach- Wir helfen ihnen gerne aus.BITTE beachten sie, dass Geschirr nur in gewaschenem Zustand wieder in die Schränke einzuräumen wo sie sich ursprünglich befunden haben. Gleiches gilt für Besteck, Gläser, Töpfe und Geräte die benutzt wurden. Abfälle sind SELBST zu entsorgen – Mülltrennung! Speisereste müssen mitgenommen werden, sodass der Kühlschrank leer ist. Für diese Entsorgung und für die Müllentsorgung sind wir nicht zuständig! Warum nicht mal einen Aufenthalt im Alpenhof verschenken? Gerne gestalten wir Ihnen einen Gutschein nach Ihren Wünschen. Die Haustür ist in der Nacht geschlossen. Sie brauchen die Haustür von innen nicht abschließen sondern nur fest zudrücken. Wifi ist frei. Bitte holen Sie sich ihren Code bei uns. Loggen sie sich bitte nach Gebrauch aus. Bitte gehen sie mit dem Inventar sorgsam um. Niemand wird absichtlich Sachen der Unterkunft beschädigen, es kann jedoch jedem passieren, dass einmal etwas kaputt geht. Bitte teilen sie uns den entstandenen Schaden gleich mit. Die Mieter haften für Beschädigungen, soweit sie oder ihre Mitreisenden diese verschuldet haben. Schäden die verschwiegen und nicht gemeldet werden, werden nachträglich in Rechnung gestellt. Hier sind aber nicht Kleinigkeiten wie mal ein kaputtes Glas gemeint. Bei Anreise hinterlegen sie eine Schadenskaution, die sie bei Abreise, sofern keine Schäden entstanden sind, wieder zurückbekommen. Bei ihrer Ankunft bekommen sie die Wildschönau Card mit der Sie viele attraktive Ermäßigungen erhalten. Wir möchten ausdrücklich darauf hinweisen, dass die Wohnungen nur von den uns gemeldeten Personen bewohnt und benützt werden dürfen! In unserer Gemeinde gibt es ein gesetzlich vorgeschriebenes Mülltrennsystem. Neben der Garage (links) befindet sich der Müllraum. Dort werden Altpapier, Plastik, Karton, Weißglas, Buntglas und Metall getrennt gesammelt. Den Restmüll geben sie bitte in die Tonne für Restmüll. Ebenso ist dort eine Bio-Mülltonne für Speiseabfälle aufgestellt. Da die Gesetze der Mülltrennung sind sehr streng. Wir bitten sie, sich daran zu halten. Für die Müllentsorgung und die Entsorgung von Speiseresten sind wir nicht zuständig! Nicht verräumter und richtig entsorgter Müll/ Speisereste wird nachträglich mit EUR 50.- in Rechnung gestellt.! Wir bitten sie die Nachtruhe einzuhalten sowie ihren TV auf Zimmerlautstärke zu schalten. Unser hauseigener Parkplatz (nach Verfügbarkeit) steht Ihnen während Ihres Aufenthaltes kostenlos zur Verfügung. Rauchen ist in den Apartments NICHT gestattet! Schlechtes Wetter – kein Regenschirm – Sie können sich gerne einen ausleihen. Sollten sie irgendwelchen Schäden an Mobiliar bzw. an der Ausstattung verursacht haben, bitten wir Sie, uns dies vor Ihrer Abreise bekannt zu geben. Erfahrungsgemäß sind derartige Mängel/ Schäden über Ihre Haushaltsversicherung gedeckt. Der Gerichtsstand ist Rattenberg. Bitte deponieren Sie ihre Skiausrüstung und Wanderschuhe im Schiraum (In der Garage ganz hinten). Das Tragen von Schi-und Wanderschuhen ist im Haus ausnahmslos nicht gestattet!Sie können dort auch Kinderwägen, Rodeln oder Fahrräder abstellen. Öffnungszeiten: Mo- Fr 6.30 – 18.00 , Sa 7.30-17.00 Uhr. Im Winter auch sonntags. Im Vorraum finden sie viele Unterhaltungsspiele und Bücher die sie sich gerne ausleihen können. Wir bitten sie die Spiele und Bücher in Ordnung zu halten und nach Gebrauch wieder dort hinzulegen. Sollten Sie einmal nasse Skikleidung haben – können Sie die gerne im Trockenraum aufhängen. Wasser: Wasser ist gesund…. Das gesamte Wasser im Haus ist Trinkwasser mit Grander Technologie. Ihre Betten sind bei Anreise gemacht und 2 Stück Handtücher sind pro Person vorhanden. Während Ihres Aufenthaltes können wir auf Wunsche eine Zwischenreinigung des Appartements durchführen. Die Kosten dafür betragen € 10.- /30 min. Bitte beachten sie beim Verlassen der Wohnung ob sie alle Geräte ausgeschalten haben und die Fenster/ Türen geschlossen sind ! Haben wir etwas vergessen – oder brauchen Sie etwas? Bitte sagen Sie es uns – Wir sind jederzeit offen für ihre Wünsche, Anregungen, Ideen und Kritiken. Geschirrspüler sind in den Wohnungen Niederau, Tennladen, Sonnberg sowie dem Studio Tpy C im Dachgeschoss. Sollten sie in der Küche etwas vermissen helfen wir ihnen so gut wie möglich aus. Unsere Wohnungen (außer Typ Niederau) haben Balkon – die meisten sind westseitig. Manche Wohnungen verfügen über zwei Balkone. Einfach nichts tun und die Aussicht und den Sonnenuntergang genießen, dafür eignet sich am besten unsere Terrasse (Zugang vom ersten Stock) oder auch unser Garten mit netten Sitzgelegenheiten und Liegestühlen. Dort gibt es viel Platz zum Spielen für unsere kleinen Gäste. Ein Trampolin und eine Schaukel sind aufgestellt, oder man spielt eine Runde Tischtennis oder Federball. Schläger sind vorhanden. Auch für einen gemütlichen Spieleabend ist gesorgt, mit unserer schönen Auswahl an Karten- und Unterhaltungsspielen. Ihre Ski- und Wanderausrüstung deponieren sie bitte im geheizten Skiraum. Ein elektrischer Skischuh-Trockner und genügend Ablageflächen stehen dort zur Verfügung. Und für Entspannung sorgt unsere Physiotherm Infrarotkabine. Alpenhof Wildschönau – familiär geführt seit 1958 – wir kümmern uns persönlich um Sie! 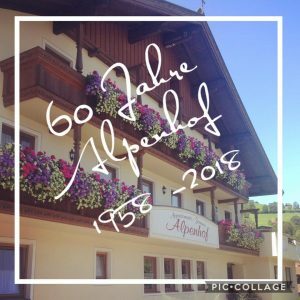 Unseren Alpenhof gibt es bereits seit 1958. Im Mai 1994 haben wir den Betrieb von unseren Eltern Franz und Anna Luchner übernommen. dem Motto – nicht zu Hause und doch daheim! Stolz sind wir auf unsere vielen langjährigen und treuen Stammgäste die teilweise schon seit 20 Jahren und mehr, den Urlaub bei uns im Alpenhof verbringen und wer weiß, vielleicht zählen auch bald sie dazu! Wir haben heute den 9. Oktober 1958. 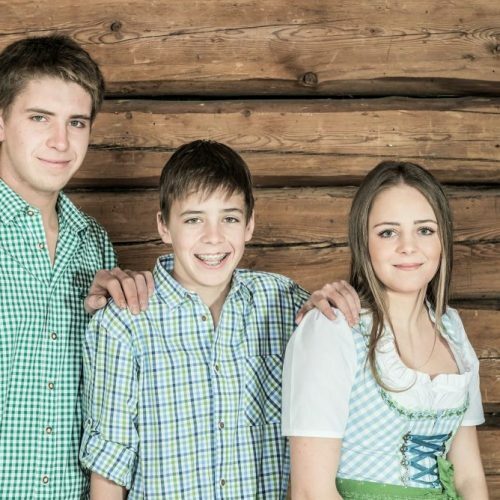 Es ist ein großer Tag für jeden, wenn er für sein eigenes Haus den First aufsetzen kann. Die Bauherren sind Franz Luchner sen. und seine Frau Ursula, und dessen Sohn Franz Luchner mit seiner Frau Anna. Das Haus wurde im Winter 1957 von Luchner jun. geplant und es wurde auch gleich mit dem Aushub begonnen (Pickel und Schaufel). Nach zweimonatiger schwerster Arbeit der Beiden war der Grund ca. 400m3 ausgehoben. Im folgenden Sommer wurde der Keller und das Parterre aufgemauert und so wurde der Bau den Winter über stehen gelassen, im Sommer wurde dann wieder weitergearbeitet. Die Maurerarbeiten machten sich die Beiden selbst, da Luchner s. und Luchner j. Polier waren und sie ein eigenes Maurermeistergewerbe besitzten. Die Zimmerarbeiten führte der Zimmermeister Sepp Klingler aus Oberau durch. Wir wollen noch einige Baustoffpreise festhalten. Wir haben heute eine gute Zeit mit genug Arbeit, so das auch ein gewöhnlicher Arbeiter ein anständiges Leben führen kann. Ein Maurer verdient pro Stunde 9,00 S, ein Hilfsarbeiter 7,50 S.
Ein Liter Milch kostet 2,20 S, 1 kg Schwarzbrot 3,80 S.
Wir wollen auch den Herrgott nicht vergessen und ihm danken für seinen Segen u. dem Schutze, dass nie ein Unglück geschah. Das Haus ist für ein Fremdenheim gedacht u. wir wünschen, dass so mancher einen fröhlichen Urlaub verbringt. Neu -Pauschalen für 3/4 Nächte auch online buchbar! 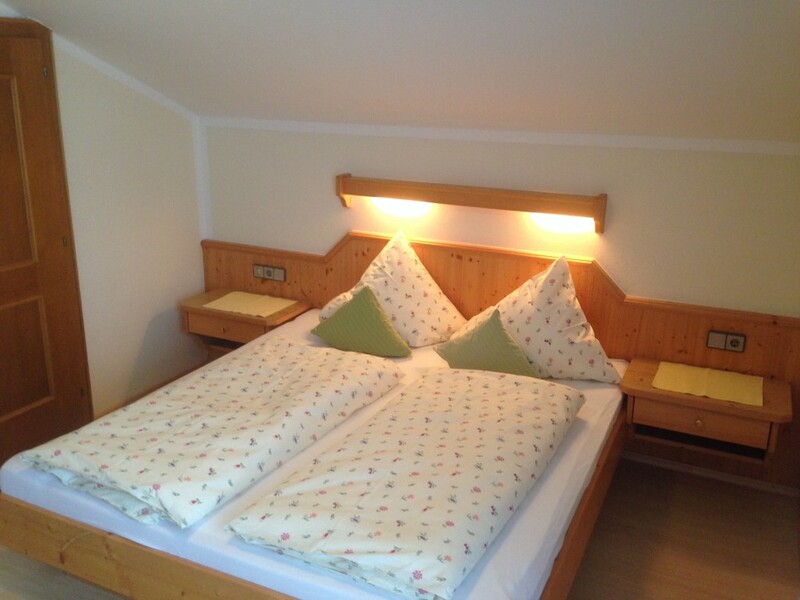 Herzlich willkommen und “Griaß di ” im Apartment Alpenhof Wildschönau! 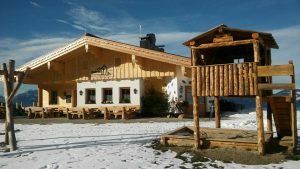 Genießen sie unbeschwerte Urlaubstage in unserem familiär geführten Apartment -Haus Alpenhof im schönen Hochtal Wildschönau in den Kitzbüheler Alpen. 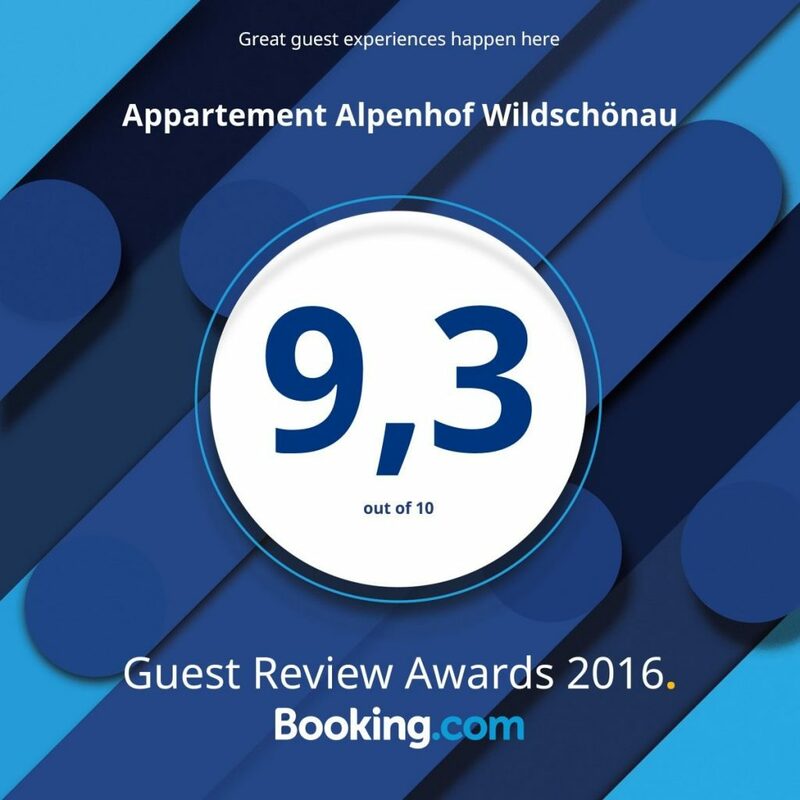 Apartment Alpenhof Wildschönau – unsere Lage ist sehr zentral und gut erreichbar im Herzen von Niederau, der ersten Ortschaft der Wildschönau. Mit wenigen Schritten erreichen sie das Dorfzentrum, Supermärkte, Restaurants, das Skijuwel Markbachjoch, Schischulen, Schiverleih und die nächste Bushaltestelle. Sie sind in kürzester Zeit mitten im Geschehen und können auf ihr Auto verzichten. Unsere Nichtraucher-Apartments sind gemütlich und mit Liebe zum Detail ausgestattet. Sie bieten genügend Raum für 2-4 Personen. Als Gäste unseres Hauses erhalten sie die Wildschönau-Card mit der sie viele Vorteile der Region genießen. W-Lan nutzen sie bei uns in allen Bereichen kostenlos. Im Winter bietet ihnen das Skigebiet Ski Juwel Alpbachtal Wildschönau 145 bestens präparierte Pistenkilometer und 2 Rodelbahnen, sowie schön gespurte Langlaufloipen. Das Skijuwel Markbachjoch erreichen sie mit wenigen Schritten und mit den Skiern fahren sie fast bis zur Haustür. Das Markbachjoch ist mit seinen Abfahrten und den super Bedingungen für Kinder und Anfänger ein Geheimtipp unter den Tiroler Skigebieten. Sehr beliebt ist auch die neue Rodelbahn beim Lanerköpfl-Lift. Im Sommer findet man bei uns wunderschöne Wanderwege, Ausflugsziele und viele gemütliche Einkehrmöglichkeiten um die Wildschönauer Spezialitäten und den “Krautinger” zu verkosten. Nach dem Wandern erholt man sich am Besten im Wildschönauer Freischwimmbad oder spielt eine Runde Tennis beim Tennisplatz in Oberau. Paragleiten ist in Niederau besonders beliebt und die Flugschule Wildschönau bietet zahlreiche Kurse an. 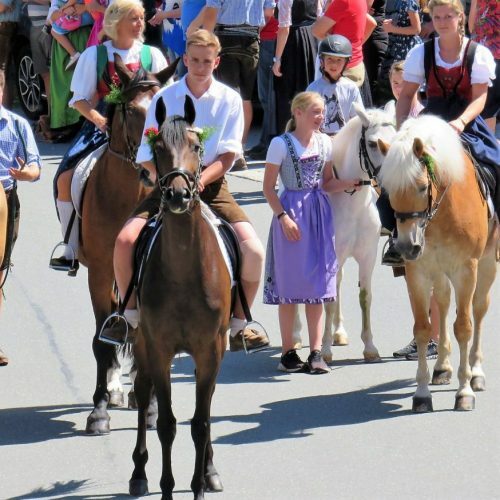 Für Pferdeliebhaber ist der Reitstall Wastlhof ganz in der Nähe. Durch unsere zentrale Lage haben wir auch zahlreich Tiroler Badeseen und Golfplätze (Westendorf, Ellmau, Kitzbühel..) in der Nähe. Egal ob skifahren, wandern, paragleiten oder einfach nichts tun – unser Alpenhof in Niederau ist der ideale Ausgangspunkt für ihren Sommer – oder Winterurlaub in der Wildschönau!